Like most young girls, Julia began struggling with acne as soon as she began going through puberty. At first, it was just a pimple here and there, but for a girl who is very actively involved in sports, each time she’d go out on the track or field she would break out a bit more. Add those pesky hormonal changes each month and her face was covered in blemishes. Julia begged me to take her to a dermatologist, but I just knew a doctor would want to put her on medication, so I insisted she try some natural remedies first. She tried face masks made of avocados, and even one made with lemons, honey and yogurt. She was removing the little makeup she wore with coconut oil each night. I gave her frankincense and lemon oils in hopes that her face would clear up. Nothing she tried worked. Instead of seeing a dermatologist, Julia convinced me to let her try Proactiv – a well known acne treatment. She had read some great reviews and was certain it would work for her. It did just the opposite, however, and in two months her breakouts had gone from bad to horrible, with no sign of improvement. She was now in pain and didn’t want to go outside of the house without globs of face makeup to cover the redness and inflammation, which caused even more discomfort. She was miserable. At this point, I asked Julia for one more chance to find her something for her acne, before I took her to a doctor. Around this time, I was invited to a friend’s new house for brunch, where I was reminded of the skin care products created by Rodan and Fields, the dermatologists who originally formulated Proactiv. I discovered that these doctors reformulated their original acne treatment and created a complete regimen for abolishing pesky acne like Julia’s. I was intrigued and decided that Julia must try this Unblemish regimen. She agreed and begrudgingly took a photo the night before she first tried these new products. I’m so glad she did, so y’all can see her results. 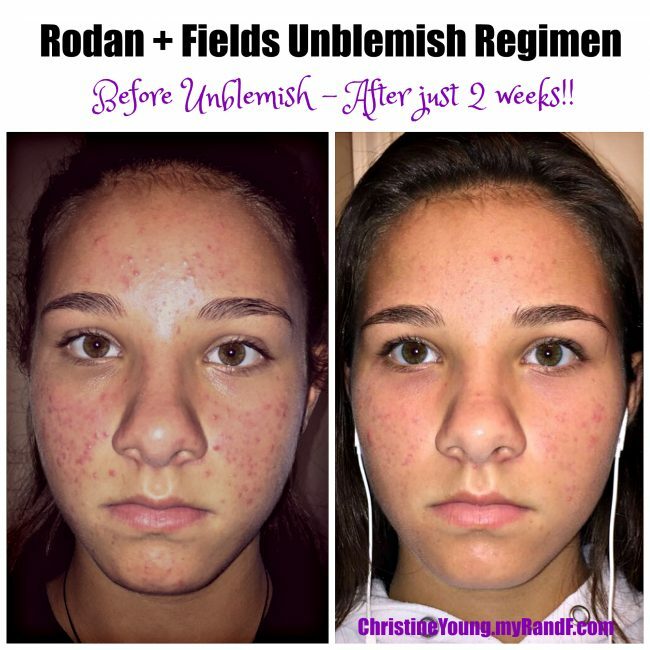 Much to our surprise, THE UNBLEMISH REGIMEN WORKED!! After just two days, Julia came to me and exclaimed that her skin felt great! She was convinced that she would be part of the small percentage of people who see results within the first two weeks. She was right! Within TWO WEEKS we saw a marked improvement in Julia’s skin. She went from hiding her beautiful face and being nervous about starting school to actually expressing how excited she was to begin the year as a freshman! We continue to see improvement in Julia’s skin, as she is religiously using her Unblemish regimen morning and evening, without fail. She is no longer wearing layers of foundation, but feels confident and beautiful again! 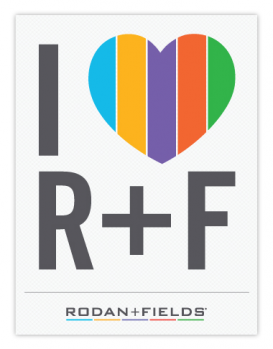 If you would like more information about the Unblemish regimen, or any of the Rodan + Fields products, please reach out to me. I would love to help you become a Preferred Customer so you, too, can begin feeling confident and beautiful in your own skin!